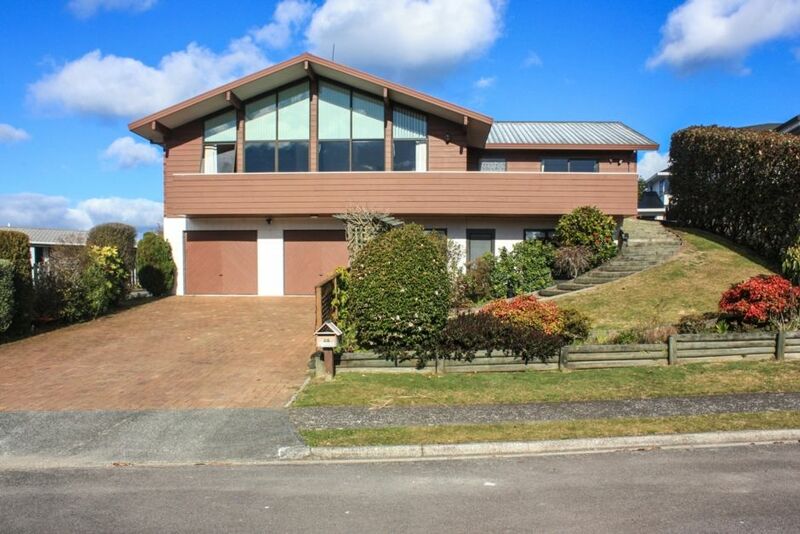 This lovely spacious family home is just 5 mins drive from Rotorua city centre. With gorgeous views of the Redwoods forest and mountain Bike Park. A few minutes drive or bike ride will take you there. This home has been recently renovated with a brand new kitchen and fire place. The spa room has also been renovated with a brand new deluxe spa pool. There are two living areas both with 55 inch TV's. All of the beds, pillows and linen are brand new. This house is ideal for families or friends wanting to discover what Rotorua has to offer. A $500 bond plus the amount of the first night's stay is required to secure the booking. Payment in full is required 1 week prior to stay. The bond is returned within 48 hours, once the property has been inspected. Out of respect for our lovely neighbours we have a andquot;no partyandquot; policy. Please be mindful of others and keep noise to a minimum, especially after 10pm. Smoking is allowed outside only. Please dispose of cigarette butts in the containers provided. We are a family of 5, with Mum, Dad and 3 kids aged 6,10, and 12. We live in Pukekohe, so at just over 2 hours drive away. We don't hesitate to get away to our holiday home whenever we can. We love coming to Rotorua, mostly for the mountain biking but also because there's plenty to do, or if we feel like relaxing, we can kick back and do just that. We bought this property because as a family we visited Rotorua a lot, especially in the school holidays. We love mountain biking and the great outdoors in general, so Rotorua is perfect for a home away from home. We have also had get togethers with family and friends at the house, which have been awesome. We were drawn to this house because of the layout and space and its location. Tihi-Otonga is a nice area of Rotorua and close to the Mountain Bike parks. A great house for groups, e.g. family get togethers, teams, social or fitness groups and girls weekends. You can relax at the house, with out feeling like you need to go out or just have the house as a base, while you discover all the amazing places/activities Rotorua has to offer. The living space is ideal and is a real sun trap with the option of lighting the fireplace on those cooler winter nights. For us, it was important to fit the house to a high standard with everything you need and super comfy beds and linen. You've just got to have a spa while in Rotorua, so that was also on the 'must have' list. We have a kitchen business so it made sense to give the place a brand new kitchen with all new appliances and accessories. We've had such awesome feedback from the people who stay which is a good sign that other people are enjoying the house as much as we are! Very comfortable house for the 5 of us. WiFi signal is strong. Ample utensils in the kitchen for meal prep. Very safe and quiet residential area of town. Highly recommended for quiet professional guests who are looking to retreat away from the downtown hustle during their vacation. Thanks Sebastian. We’re glad you enjoyed your stay.! Sleeps an army! Nicely updated kitchen, and well appointed with nice, newer furniture. Unfortunately, two of the amenities that led us to spend more for this rental didn’t work. The air conditioning unit is too small, and can’t even keep the kitchen/living room space cool on a hot day. Don’t plan on it being useful. Also, the dryer didn’t do its job. Given its random stops mid-cycle, and it radiating the heat of several suns, causing us to worry about a potential fire hazard, it would seem that the external vent for the dryer is likely clogged with lint. It never did dry the clothes despite an empty internal lint filter and the dryer running for three-plus hours. Also, whenever someone is walking upstairs, those in the basement can hear it due to really loud, creaking subfloors. It makes sleeping late nearly impossible in the basement when others are up and about upstairs. My apologies, I was unaware the dryer wasn't working well, this is the first time that it has been drawn to my attention. We will get that looked at. With regards to the other areas eg. air conditioning and creaky floors, all I can do is apologise, I hope you still managed to enjoy yourselves. We were attending our Junior Touch nationals and our stay here was OUTSTANDING! I will be back for sure! So much space for all of us. We took 14 young boys and 2 adults and we all were able to fit and we still had lots of room! Kitchen was amazing! Thank you again becs! We will be back for sure!!! Thanks so Much for the awesome feedback. Glad you had a great time! I hope the touch tournament was a success! Modern house with a lot of spaces, and a big view! We loved staying in this amazing house and had a great holiday. The location is perfect for our children who loves riding bikes in the mountain bike park nearby. and very easy to get to thermal attractions nearby. The house is very nicely furnished and beds all tastefully done. The kitchen is new and very upmarket, with plenty of bench spaces. The rooms upstairs are very sunny and comfortable. Downstairs rooms were great for children, and cooler in summer days. The downstairs extra living space is great for our large family group of 9. Children had their own TV and play games downstairs while adults relaxed in the living space upstairs. The downstairs shower was not functioning during our stay, but owner notified us, and that wasn't a real issue since there were other two bathrooms. Owner also accommodate last minute change when we saw the house quite big and nice and asked my parents to come over for dinner and stayed one night with us. The view from the house and balcony was very impressive, and we spent quite sometime outside on the balconies. Only problem we had was that the mountain bike park was very close to the house, but there seemed to be no direct safe route to bike there, so we still transported children and bikes with our car. Is there any hidden path that we didn't see? Will definitely stay again in the future. Hi Jin, we're so glad you enjoyed your stay at our place. There is a pathway that takes you to the redwoods bike park - which you follow underneath the new big roundabout at the bottom of the hill. However there is that big hill to get down and then come back up! Challenging but do-able. We hope to see you back sometime soon! Thanks. We loved this place for many reasons. Was spotlessly clean, great location and quiet, comfy beds and plenty of them, really well equipped kitchen - we cooked both nights, easy and great communication.... Really everything we wanted and more - like the bike racks in the immaculate garage. we'll be back! Thanks guys. So glad you enjoyed your stay! You're welcome back anytime! My family enjoyed the great hospitality and usage of all the facilities at this property, the only downfall is the dining table is very unstable and not enough seating for a family of 7. Overall great experience and will highly recommend it.